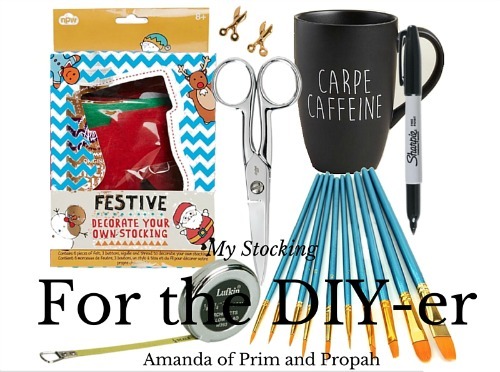 Amanda of Prim and Propah is sharing a gift guide for the DIY-er! 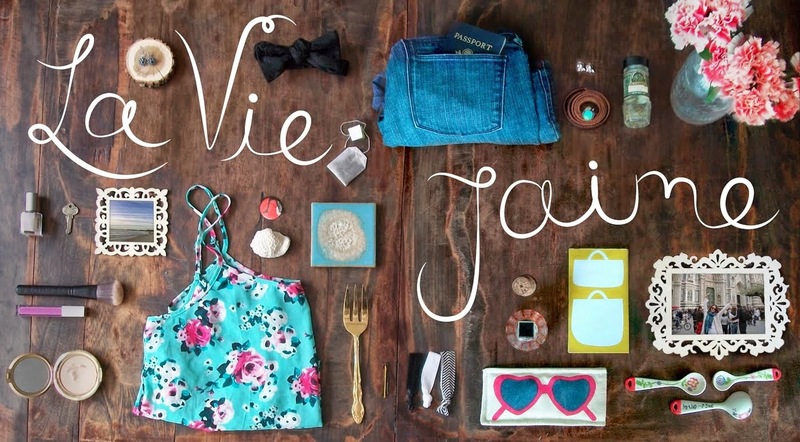 Decorate Your Stocking Kit- Crafty gals gotta do it for themselves and this includes decorating their own stocking. Give me some felt and watch me soar. Gingher Craft Scissors- this Craft Scissors cuts through heavy-duty materials like leather or multiple layers of fabric with ease... "with ease" being the key phrase. Serious crafters need serious scissors. Aleen's Tacky Glue- IMO the best crafting/DIY glue on the market, especially if your crafts are low impact/less power tool driven. Inexpensive Craft Brushes- No matter what you are DIY-ing, any good crafter likes to have paint brushes on hand that aren't super expensive so if you've gotta sacrifice one to the modge podge cause, it's not sad panda. Sewing Scissor Earrings- These are dainty enough to not scream "crazy craft lady" yet a subtle nod to someone who takes her craftin' seriously. Sharpies- DIY-ers, legit, need them for A LOT of things. Pocket Measuring Tape- Whatever it is that you're measuring? Measure twice before gluing, sewing, securing etcCarpe Caffeine Mug- One thing is for certain, in order to keep that DIY energy going, you've got to keep the coffee coming! Thanks, Amanda! Visit Prim and Propah and follow her on Facebook, Instagram, and Twitter. yes to sharpies, is there ever anything better? I love them!! this is a really cute stocking and I imagine all my crafty friends would love it.